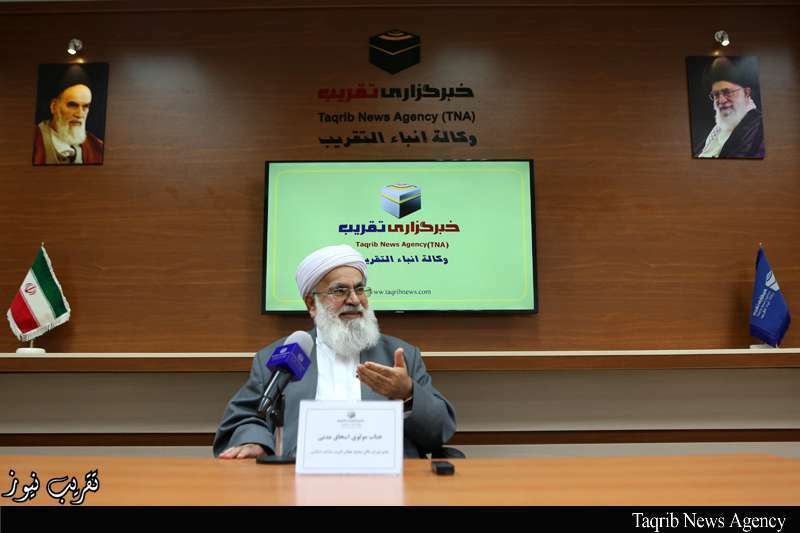 Molavi Mohammad Eshaq Madani, the members of the Supreme Council of the World Forum for Proximity of the Islamic Schools of Thought, in an exclusive interview with Taqrib News Agency (TNA) hailed the attempt made by the late founder of Islamic Revolution of Iran, Imam Khomeini (RA) in promoting unity and rapprochement among Muslims. The religious cleric beckoned to the Quran verses saying,” And hold fast to the rope of Allah, all of you together, and do not divided”, urging Muslims to unite against their main enemies. To religious cleric, the issue of unity was a long term objective for the Imam Khomeini (RA) and he, in the light of Islamic unity, gathered all groups of people together and provided the ground for victory of the Islamic Revolution and also honor of Iran. Along with Molavi Mohammad Eshaq Madani, religious thinkers and elites believe, Imam Khomeini brought unity and solidarity among world Muslims by his high thoughts and this is the greatest influence of the late leader of Iran among Muslims. In their lines, if we are witness to the Islamic movements in some Islamic states, it is due to globalization of the revolution which was inspired by late Imam Khomeini. To them, Iranians are all responsible in regards to the Islamic Republic of Iran and they have to fulfill their duties in the fields of purification of our souls, acquiring knowledge and resistance against our foreign and domestic enemies. Iranian nation are the harbingers of unity in the world of Islam and the friendly coexistence of shia and Sunni in their country is a thorn in the side of the enemies; hence, enemies try to array Muslims against each other through political strategies.